The future of the village is important and working for this should involve as many people as possible. 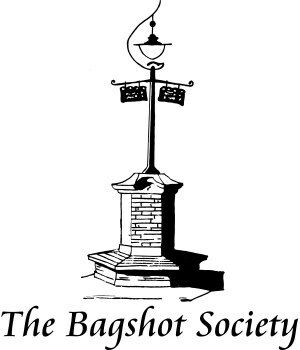 As a member of the Bagshot Society you will meet the people involved working for the future of the village, be kept informed of what is happening, be able have your say and, if you wish, find out how you can become involved. We want as many people in the village to become involved in its future and would like you to join us. The Society organises a programme of varied and interesting talks, and social events which are open to all (you do not have to be a member). Rabbi Dr Jonathan Romain MBE of the Maidenhead Synagogue will be our guest in conversation with Bagshot’s vicar Rev Andreas Sistig. All are welcome. Bagshot Society members free, non-members £2. Our programme details are emailed to members, can be seen in the calendar on this site and the ‘upcoming events‘ on the site’s home page. As the event approaches, details are also posted on facebook, twitter and the site’s blog, as well as posters in the village (look out for our own notice board outside Herbies). Your involvement with the Bagshot Society can be as little or as much as you want, from supporting the Society by being a member and thus adding weight to the contributions we make, through volunteering with specific activities, to joining the committee. We extend our heartfelt condolences to his widow and her family. You can download the constitution of the Society here.